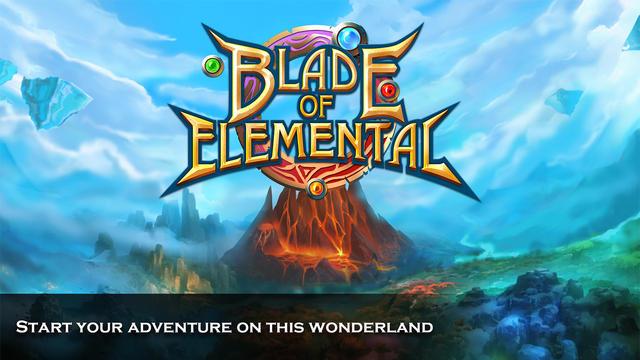 The Blade of Elemental – Adventure and Fun together ! The Blade of Elemental – iPhone app is the latest gaming app to be released that enables you to fight with monsters making use of a set of unique spells and weapons. The app is so easy to use for the first timers and also exciting to the point that once you start playing the game you get a hard time put it down. The game really gives you the opportunity to hone your skills and achieve success playing the different levels of the game. 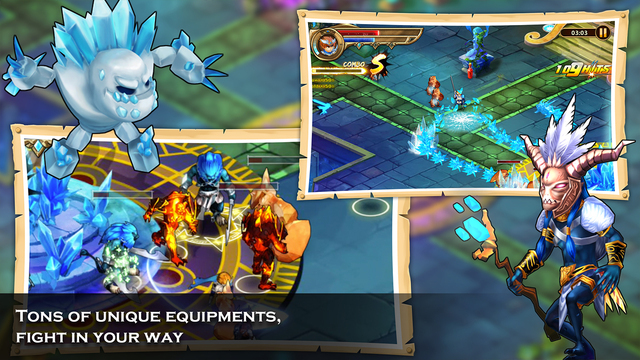 The Blade of Elemental – iPhone app has been developed with a very good attacking sense and the user is availed with an endless number of types of equipment for attacking and defending oneself against the monsters. 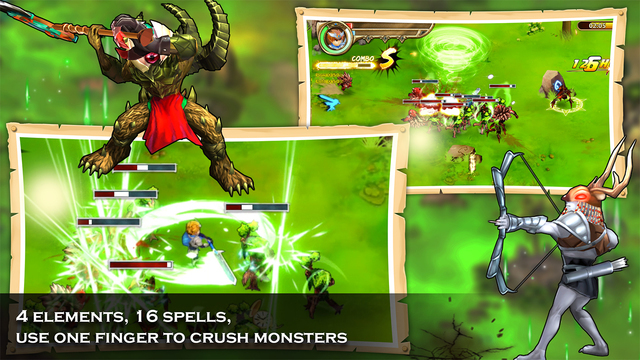 The gaming app has the perfect element in all gaming apps that allows you to use only one figure to cast as many as 16 very potent spells that will wreak havoc and completely destroy the evil monsters. If you are among the gamers with an adventurous mind the game is perfectly created for you as it provides an endless supply of challenging missions which consequently increase in difficulty as you go up the levels. Using only a figure the gaming application allows you to crush and slash the evil monsters letting you advance to now tasks after every successful mission. The Blade of Elemental gaming app constantly encourages the gamers to be more and more creative in the way they slay the evil monsters by making sure that for every successful monster destroyed a different method is used. The app has tailored gesture based systems of casting spells that have an extensive variation. The app also lets you generate random characters with each new session to ensure a thrilling and exciting playing experience. As a player with every successful completion of a mission, you are awarded numerous accolades that keep you motivated to play on. Unlike most gaming apps the Blade of Elemental has a very realistic experience in that the character in the game can get burns, wounds and even frostbite which makes it more thrilling and engaging. This thrilling gaming app provides the gamer with an enjoyable escape for a while and can be played offline eliminating the need for Wi-Fi and hence you can just play it on your iPhone device any time of the day. 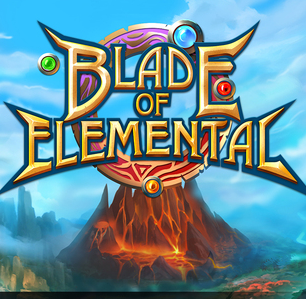 The developers of the application described the Blade of Elemental gaming app perfectly. They said that they developed the gaming app not as a tool for killing time but a powerful platform that transports the player into a thrilling monstrous wonderland that calls for the gamer to deliver justice. The application has been rated very highly and most gamers describe the Blade of Elemental – iPhone app as the best game ever calling for the developers to make more updates on the gaming app in order to keep gaming for longer. These reviews have made the app become the top ARPG. The design of the Blade of Elemental – iPhone gaming app is superb including a vast number of functionalities and capabilities. These have distinctively established this gaming app as a fantastic game for all adventure seeking gamers. You can easily download the gaming app to your iPhone device from the IOS app store.